The Nigerian Civil Aviation Authority (NCAA) has suspended operations of FirstNation Airways over alleged illegal commercial operations in the country. A letter to the airline, with reference no. NCAA/DG/CSLA/RM/1-06/18/2304 dated May 11, 2018, confirmed that the apex regulatory body at the weekend withdrew the Air Operating Certificate (AOC) of the airline indefinitely. The troubled airline’s scope of operations was last year downgraded by the NCAA over its consistent use of an aircraft, contrary to at least two airplanes mandated by the Nigerian Civil Aviation Regulations. The downgrading restricted the airline to chartered operations only, pending an improvement in its capacity for scheduled services. The NCAA explained yesterday that when the AOC of FirstNation Airways expired, the airline did not have at least two airworthy aircraft capable of servicing its approved schedule as required by Part 9.1.1.6 (b) (2) (ii) of Nigerian Civil Aviation Regulation (Nig.CARS) 2015. Consequently, the airline’s Air Operators Certificate (AOC) was, upon renewal, restricted to non-scheduled operation, (charter) only.Spokesperson of the NCAA, Sam Adurogboye, yesterday said the airline, however, continued to embark on scheduled operations with advertisement of its services and sold tickets at its Check-in counters in Lagos and Abuja Airports. “On further investigation, it was discovered that the Airline had disregarded all warnings and continued with the unauthorised and illegal operations in violation of its AOC terms and conditions of issuance. “This is contrary to the provisions of Part 9.1.1.4(d) of the Nig.CARS 2015, which provides that ‘Each AOC holder shall at all times, continue in compliance with the AOC terms and conditions of issuance, and maintenance requirements in order to hold that certificate’. 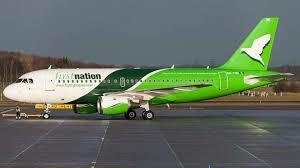 “The authority has therefore determined that, pursuant to Section 35 (2), (3) (a) (ii) and (4) of the Civil Aviation Act, 2006, FirstNation Airways is no longer fit to operate air transport business under the authority of the AOC. Accordingly, the airline’s AOC has been suspended indefinitely, with effect from the 11th May, 2018, when it received the notice,” he said. The operators of the airline have also been mandated to return the AOC to the NCAA’s Director of Operations and Training within seven days.Adurogboye added that the suspension will be lifted once the airline demonstrates ability and willingness to comply with the extant regulations. The authority shall review the Airline’s operations and restore the AOC to enable it commence operations, he assured.